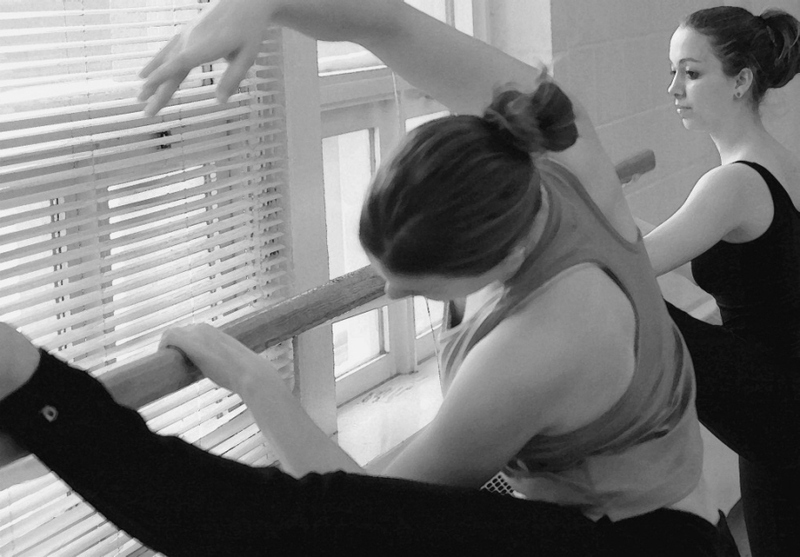 Flexibility is an aspect of dance that will help you improve in many areas. It is something you can work on at home between dance classes. Push yourself to gain a greater range of flexibility. Listen to your body and identify your limitations. Stay consistent and disciplined to overcome them. Always warm up your muscles before you stretch. While stretching, gradually increase how far your muscles are stretched. Hold each stretch for about 20 seconds (time varies from person to person). Holding the stretch will deactivate your muscle spindles, and you should feel a release in the muscle being stretched. Then, you can push the stretch a little further until your muscle spindles activate, and your stretch is naturally stopped. Hold this stretch for a moment and then relax. If your muscles start to quiver at any point during your stretching, back off a little. Quivering means your muscles are being overworked. If your range of motion starts to decrease, you have stretched too far. Let your muscles rest and heal. While you are still growing, your range of flexibility will probably vary. It is normal to experience a loss of flexibility during growth spurts. Bones grow faster than muscles, and it may take some time to regain your full range. Your body will even out, just keep stretching. The method of contacting and releasing muscles to gain flexibility. With a partner: Lay on your back, or stand up against a wall. Lift one leg, and have your partner hold it. Then, contract your muscles as your partner pushes your leg toward your chest. Hold this for a few seconds, then relax, and have your partner push your leg closer to your chest. You can repeat this several times, moving the leg a little higher each time. Caution: This method of stretching is effective but can cause injury if not done properly. Your partner should be credentialed as a personal trainer or physical therapist. This method of stretching is similar to PNF, but is safer because you control the range of motion. Lay on your back, pull your leg toward your chest with your hands or an exercise band. Contract and release muscles, then push, stretch farther, and repeat. Caution: Pay close attention to how your muscles are feeling so that you don’t over stretch. You can pull a muscle, so use caution. Never yank on your leg. Method of holding a stretch for a long time. Method of repeating the movement of a stretch. Example: reaching forward to touch your toes, then pull back and repeat. Caution: Keep your movements smooth and controlled, or you will activate your muscle spindles-which is the opposite of what you want. *Always consult a medical professional before starting a new type of exercise.